Japan: The Japan team is quite possibly the team with the best chance to challenge the United States. Despite having players like Ichiro Suzuki and Hiroki Kuroda unwilling to participate, Japan still has a talented roster featuring players from the NPB. Kenta Maeda, a 24-Year-Old Right-Handed Pitcher for Hiroshima, will be one of the leaders on the Japanese pitching staff. Hayato Sakamoto, who hit .311/.359/.456 with 14 HRs for Yomiuri in 2012, will anchor the team’s Infield. Sakamoto could be a player that could be wearing a MLB jersey in a couple of years. There is a very good chance that Japan will end up playing for the Championship. It is definitely a bummer that Suzuki, Kuroda, Yu Darvish, Hisashi Iwakuma, and Norichika Aoki will not be playing for Japan. Between these five guys alone, they total six WBC appearances. Having five of their country’s top players refuse to play has to be confusing for the other Japanese players. On the other hand, it will give the other players a chance to shine in the international spotlight. Japan will be a difficult team for any country in the world, let alone this division, to beat this year. Baseball is slowly growing in China. Thanks to people like Art Howe, this year’s hitting coach for China in the WBC, players in China are getting more and more opportunities to learn the nuances of the game from some of the best coaches in the world. In fact, the China coaching staff this year features Bruce Hurst and John McLaren as well. Even though China only has one player with Major League experience on their roster, China could put up a fight to possibly become the second team to advance from this division. 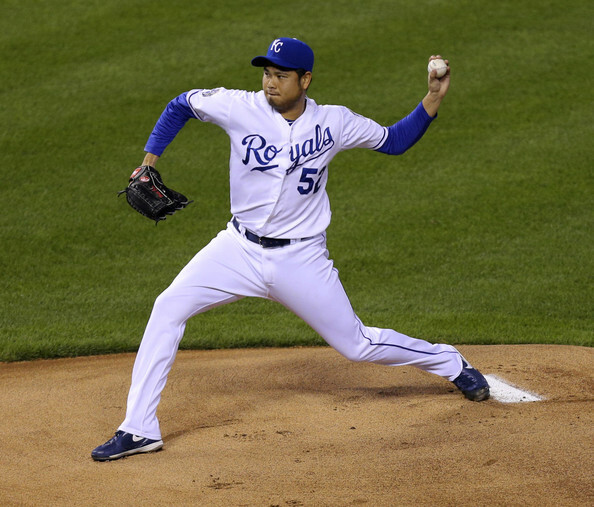 Bruce Chen, a 14-year MLB veteran, will chief the China pitching staff. Chen doesn’t have a dominating arsenal of pitches, but he has the command to be a pretty dominant pitcher, especially when facing younger, less experienced hitters. China should be thrilled that Chen decided to come play for them. Aside from Chen, the China roster also features Wei Wang and Haifan Yang. Wang, who previously played in the Mariners farm system, is a catcher who has played in the 2006 WBC, but he missed the 2009 WBC due to a torn ACL. Wang will look to provide the Chinese team with power and veteran game calling from behind the plate. Yang is the youngest players on the Chinese roster, actually in the entire WBC as well, but he might be the most projectable young Chinese arm. People should try not to overlook the Chinese team this year. With Bruce Chen guiding pitchers like Yang and Wei Wang hitting for power in the middle of the lineup, China will put up a good fight against any of the teams they face. Imagine this. 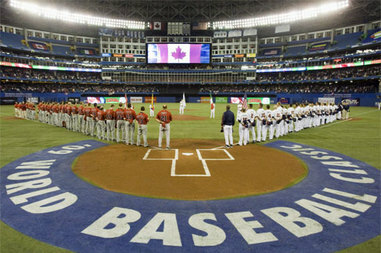 Cuba faces the USA in the WBC Championship. An Outfield of Yoenis Cespedes, Leonys Martin, and Dayan Viciedo faces the USA outfield including Ryan Braun, Giancarlo Stanton, and Adam Jones. Unfortunately, this won’t be possible because they now place in the U.S. Nonetheless, Cuba still has a couple of players that have the talent to be in the Majors in the coming years. Yulieski Gourriel has been around for a very long time. A Third Baseman – who can play Second and Shortstop as well, Gourriel was All-WBC in 2006. It is surprising that he never defected from Cuba and came to play in the USA. However, perhaps that shows his loyalty to his country and provides us with a reminder that for some people, their ultimate goal in life is not to play in the Majors. Jose Abreu, 25, is quite possibly one of the best hitters on the face of the planet. He has never left Cuba, but the powerful First Baseman has drawn comparisons to Ryan Howard and Barry Bonds. While it’s a shame we won’t see Abreu in the Majors in 2013, the WBC will be a great chance for the rest of the world to see just how much of a monster Abreu is. Cuba should be favored to advance to the next stage from Group A. In fact, they probably should be favored to take down the dominant Japanese team. For what they lack in pitching, Cuba makes up for in power. Look for the Cuban team to play in many high-scoring games. I was wrong in doubting Brazil prior to the WBC Qualifiers. Yan Gomes led his fellow Brazilians, against all odds, to the point where they are now. 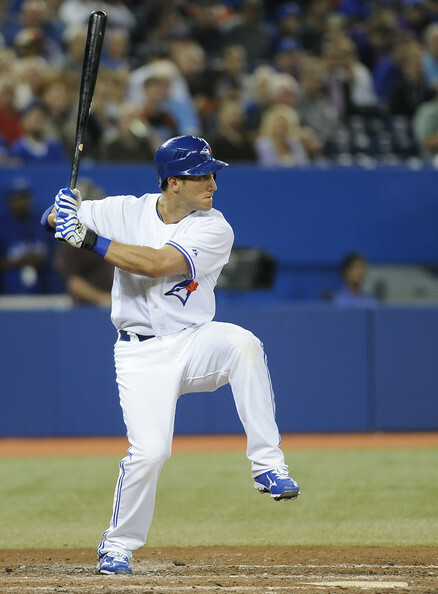 However, Yan Gomes has decided to step out of the WBC to focus on training for the upcoming MLB season. Now, the fate of the Brazil team will lie in the hands of Manager Barry Larkin. Larkin will have to find a way to get the most out of players like White Sox prospect Andre Rienzo. Even though Brazil has proven a lot to get to this point, the chances of them advancing past this point are slim to none. 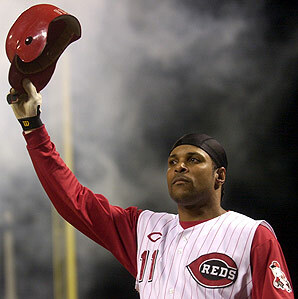 Former Reds great Barry Larkin will manage the promising Brazil team. Posted on February 10, 2013, in The Rest: Everything Baseball, World Baseball Classic and tagged barry larkin wbc, brazil, Brazil WBC, bruce chen, bruce chen wbc, china, china wbc, cuba, cuba wbc, haifan yang, japan, japan wbc, jose abreu cuba, jose abreu wbc, Wei wang wbc, world baseball classic, yan gomes, yulieski gourriel. Bookmark the permalink. Leave a comment.